Caesars Entertainment introduced Caesars Republic, a brand for nongaming hotels, and plans to open the first one in Scottsdale, Ariz.
Caesars says no two hotels within the Caesars Republic brand will be alike, with decor and culinary offerings inspired by the local culture. 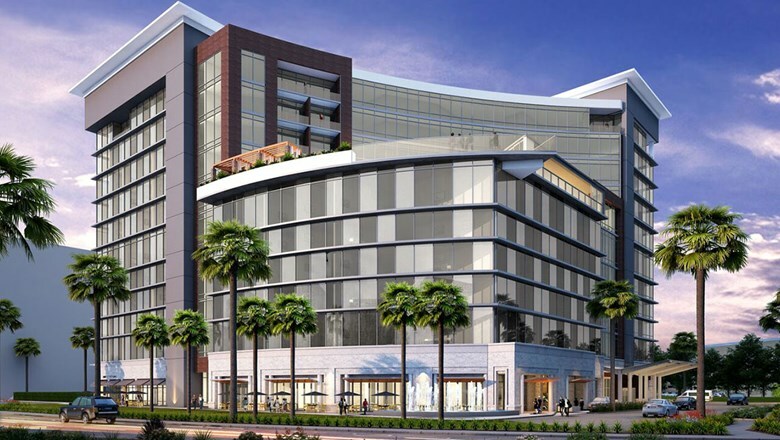 The 266-room Caesars Republic Scottsdale will be in an 11-story glass building next to the Scottsdale Fashion Square mall. Plans call for a rooftop pool and bar, a column-free ballroom opening out onto a lawn for outdoor events, a patio with views of Camelback Mountain, a restaurant and a coffee shop. The hotel would be Caesars’ first nongaming hotel in the U.S. In late 2018, the company opened two nongaming hotels on Bluewaters Island in Dubai. Caesars also has a nongaming hotel in development in Los Cabos, Mexico. Caesars is licensing the new brand and will advise developers on design elements. Aimbridge Hospitality will manage the Scottsdale hotel.